As if Saint Augustine’s Bay front wasn’t beautiful enough, now these two magnificent ships have sailed in and made it spectacular. This opportunity is as rare as two ships passing in the night. If you haven’t checked them out, you still have time to “SEAS” the day. The St. Augustine Municipal Marina is where you will find these beauties. The Nao Victoria arrived on April 13th, 2014 and will depart on June 1, 2014 as it stands right now. El Galeón is in port now and will have an extended stay until July 2014. The Nao Victoria is a replica of Magellan’s first ship to successfully circumnavigate the world. 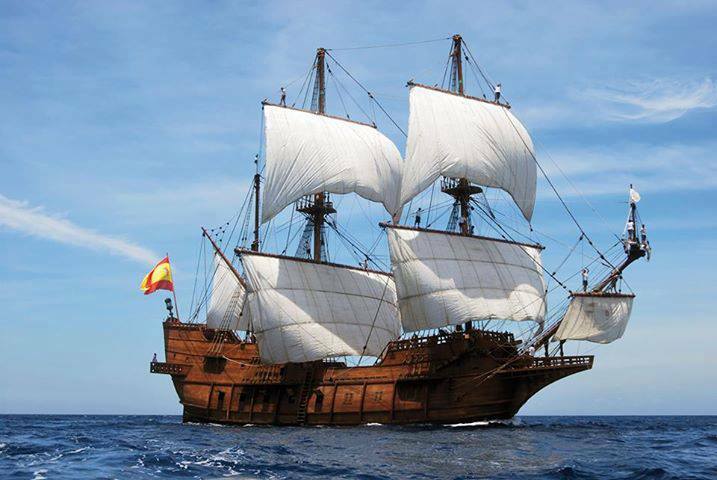 El Galeón is a replica of the vessels that traveled the coasts of Florida between the 16th and 18th centuries, transporting men, goods, culture and ideas, creating ties between America and Europe. El Galeón’s port visit in St. Augustine is particularly significant as the first galleon to arrive in the oldest city was the flagship of founder Don Pedro Menendez de Aviles. Named the San Pelayo, the 650-ton ship was one of the most powerful ships of its day. It was the most important of several ships that carried 800 colonists and supplies to St. Augustine, establishing the first permanent European settlement in the United States in 1565. The San Pelayo was an enormous vessel – it carried 77 crewmen, 18 gunners, and transported 317 soldiers and 26 families, as well as provisions and cargo (including cattle). Her armament was iron cannons and artillery. 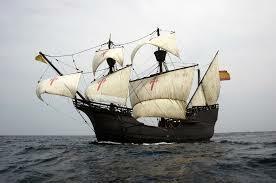 She was built in 1564 just outside the gated city of Aviles, Spain (Menenedez’s birthplace). Recently, researchers in Seville found the construction plans for the San Pelayo. The St. Augustine story is a compelling narrative of exploration, innovation and enduring spirit. It is marked by many milestones, including the first permanent European settlement in the United States, founded in 1565, and the first port to develop into a center of trans-Atlantic trade and commerce. St. Augustine’s bay is indeed America’s oldest seaport. Be sure to check out the great video below by Trevor Walsh. Ship tours are available daily from 10 a.m. to 5:30 p.m.
Tickets for both ships are available at these locations. Seven Sails from Trevor Walsh on Vimeo.